Whether you want to make a back-up copy of your photos and music, or just after additional, portable storage space for your computer, our guide to choosing external hard drives gives you the information you need to make the right choice. So much of our life is now stored as digital files. Gone are the days of hoarding piles of photos in a box under the bed, or stacking your CD collection until it touches the roof. Today, our computers are jam-packed with personal files, financial documents, music, videos and personal photos. There's no doubt that this saves space. But it also means you could potentially lose everything through a corrupted hard drive, a computer virus, or even a stolen laptop. It makes sense to create a back-up copy of your files and store them somewhere other than your computer, like a flash drive or, better still, an external hard drive. External hard drives, like your computer's hard drive, are data storage devices. 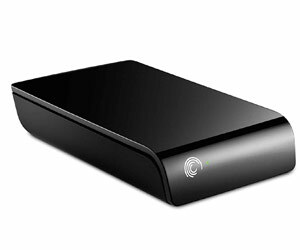 The key difference is that an external drive is mounted in a separate enclosed box and can be connected to your computer to transfer files. They are highly portable, and in most cases, weigh under a kilogram. Over the last few years, hard drive memory space has expanded enormously. A couple of years ago 500GB was considered to be the big daddy. 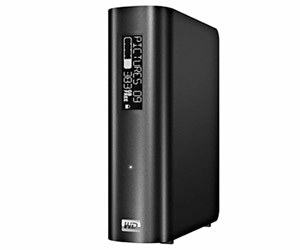 Today, two terabyte (2000GB) drives are not only commonplace, they are extremely affordable. How much storage space you want is entirely up to you. It's important to bear in mind that while a terabyte (TB) will provide a massive amount of storage space, smaller drives are more portable. Take into consideration what you're planning to use the hard drive for. If you want to carry it with you every day, then you should consider a portable drive. Portable drives will give you less storage room, but are light and small enough to fit into a handbag. Keep in mind which type of ports (connections) your computer uses to ensure you can transfer files back and forth. USB 2.0: The most common port found on almost all computers today. If you're looking to share your drive with friends and family, USB 2.0 is a smart choice. Firewire: Not all PC users have Firewire ports as standard features; Mac users will. Firewire offers faster transfers than USB, so it's suited to larger files. eSATA: The fastest transfer speed — around 3GB per second. Most computers don't have the required port, so you'll need to customise your computer. Add extra storage space to the family computer, or make a back-up copy of your photos, home movies and music. Connection: Having USB 2.0 will ensure you can share files with family and friends. Take the external drive to and from class to transfer large documents and provide additional storage for a netbook or laptop. Size: Look for a portable device small enough to fit in a handbag. Port: If your computer has a Firewire port, then this will allow faster transfer of larger files. Back up your work daily, take work home with you, and add extra storage to your work laptop for large files. Port: Dual connections of either Firewire and eSATA, or USB 2.0 and eSATA will ensure compatibility with a range of computers, plus ultra-fast transfers. Storage space: Try to get as much space as you can afford – a terabyte (TB) is less than $150. Connecting: Choosing USB 2.0 ensures you'll connect with almost all devices; Firewire is faster. Size: If you're looking to carry around a lot, make sure it's small and light.